CAFE PRESS has a line of T Shirts, Caps, Sweatshirts, Mugs, etc. 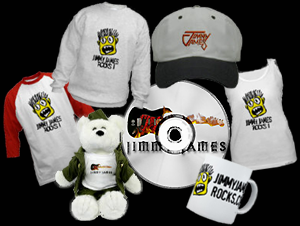 with various Jimmy James logos from over the years. Check it all out at the link to the right. © jimmy james ent.2016. All rights reserved.